What can a grave tell us about the person buried there? Tombstones are more for the living than the dead – they are the markers that friends and family return to over time, to grieve, remember and commemorate the departed. But what of the graves of peasants and nomads? Do they bear tombstones? If someone from a nomadic community dies on a journey, are they buried en route? Can those graves even be found again? 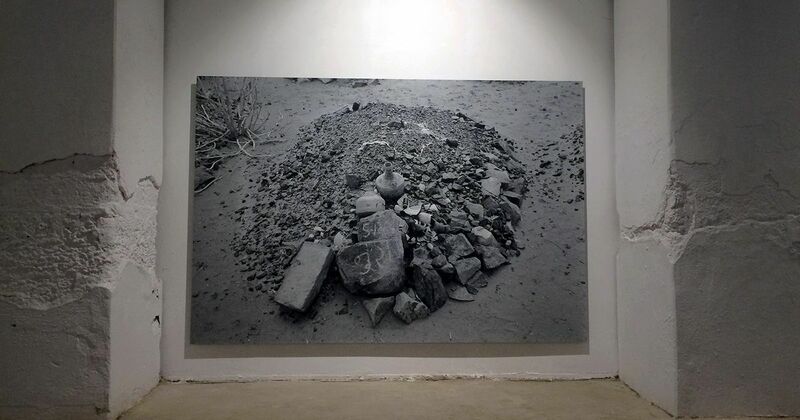 Eleven life-size images of graves by photographer Gauri Gill evoke such thoughts on death: our impact on the environment, even in our passing, and what a grave can tell us about the person buried there. Untitled (17), from the series, Traces, 1999 - ongoing. 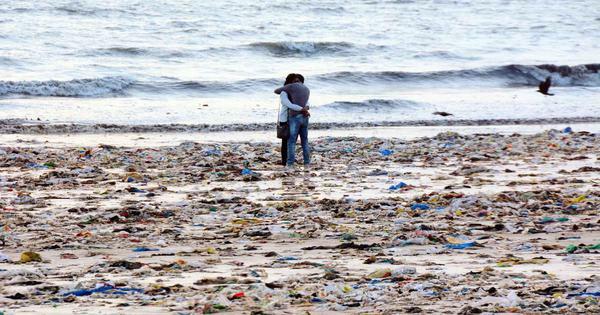 Image courtesy Gauri Gill. 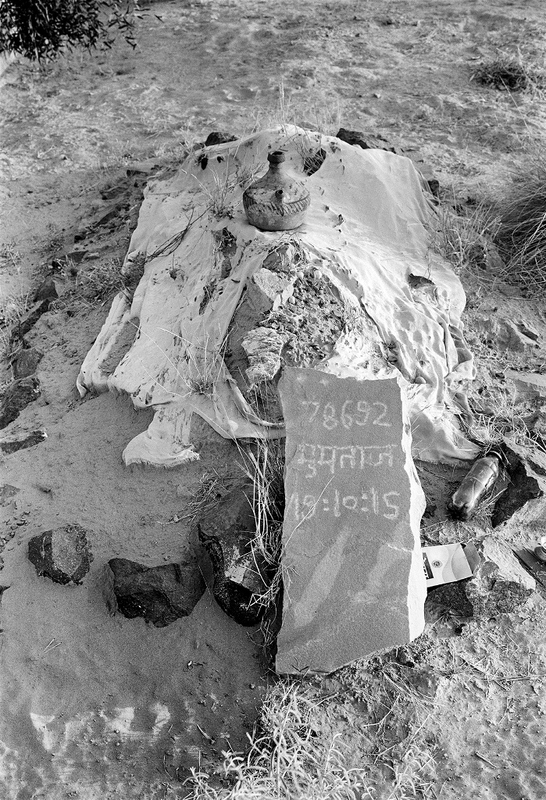 These images are culled from an archive of thousands of photos that Gill has taken over the last 18 years in western Rajasthan – including in Lunkaransar in Bikaner, Barmer and in Osiyan in Jodhpur. Gill refers to the archive as Notes from the Desert. 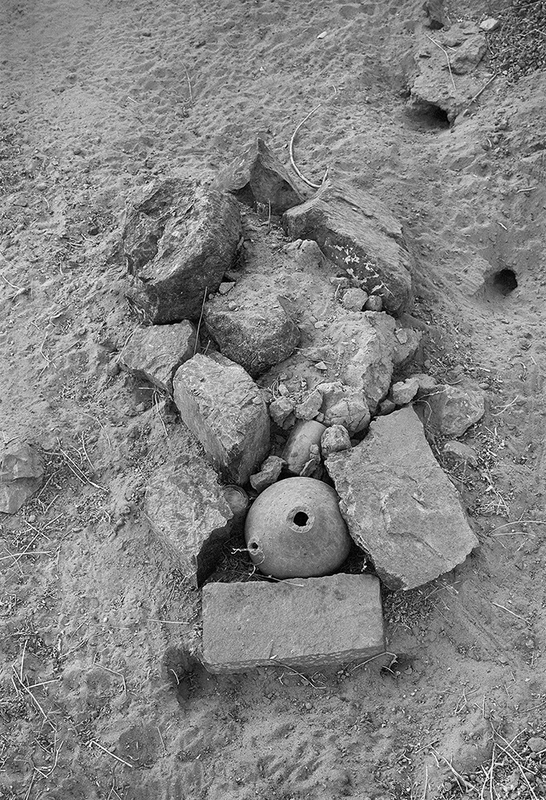 Periodically, she relooks at this archive in her home at Nizamuddin East in Delhi, to organise the photos according to a theme, like The Mark on the Wall, or the Birth Series, and now, Traces, or images of graves. Untitled (3), from the series, Traces, 1999 - ongoing. Image courtesy Gauri Gill. Though the oldest of the grave photos, on display at the Kochi-Muziris Biennale, dates back to the year 2000, the first time Gill edited and showed these pictures was in 2016 as part of a large solo exhibition at Galerie Mirchandani + Steinruecke in Mumbai. Called The Mark on the Wall, the exhibition combined works from different series including Fields of Sight in which Gill worked with Warli artist Rajesh Vangad, to create photo-paintings. 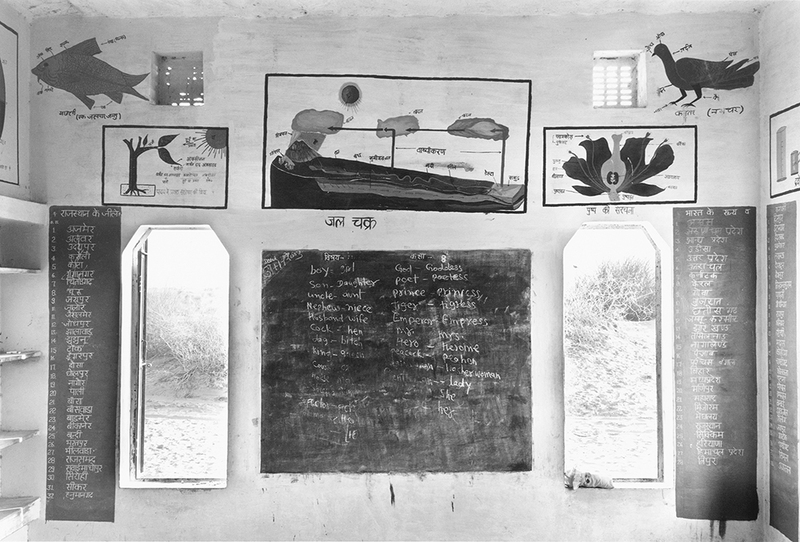 The Mark on the Wall documented educational wall-art at government schools in Rajasthan and landscapes revealing the impression of humans – both from a distance and up close – including the graves. “That was where Sudarshan Shetty saw the photographs and invited me to Kochi,” said Gill. Shetty is the curator of the third edition of the Kochi Biennale. Untitled (26), from the series, The Mark on the Wall, 1999 - ongoing. Image courtesy Gauri Gill. Gill studied art at the Delhi College of Art, photography at Parsons School of Design and then at Stanford University, where she was the only photographer in a class of five Master of Fine Arts students. Her work has been shown in India and the US, including a solo show last year, at the Sackler Gallery of the Smithsonian Institution in Washington DC. Gill worked at a political weekly until 2000. 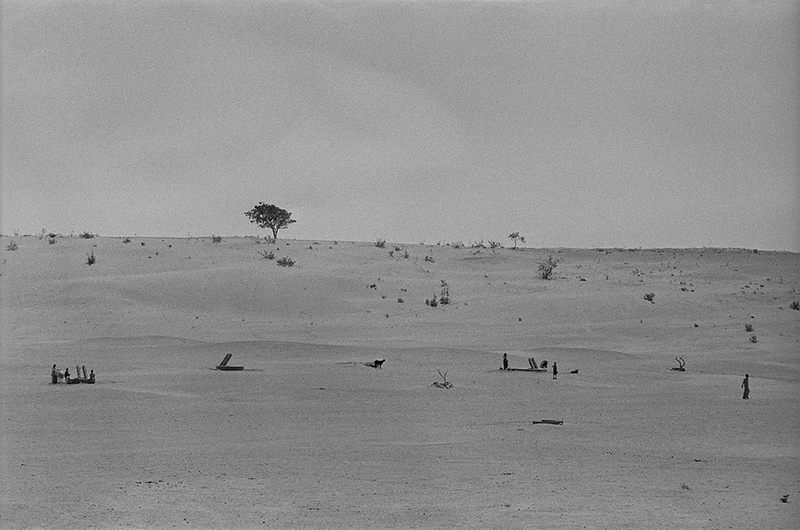 In 1999 she made a trip to western Rajasthan and took the first photographs of her desert archive. To Shetty, what was more important than her credentials however was that the works he chose for the 2016 Biennale did three things: generate conversations with the other works in the Biennale, trigger the imagination, and focus as much on the process of making and presenting art as on the final artwork. At the Biennale, Gill’s photos can be seen after works by Russian artists AES+F and theatre practitioner Anamika Haksar. AES+F have created a series of light boxes that show images of the dead in high-fashion clothes, and trigger an enquiry into death and our ways of dealing with mortality. Haksar’s work is a theatre poem about the politics of water. Waterwells. 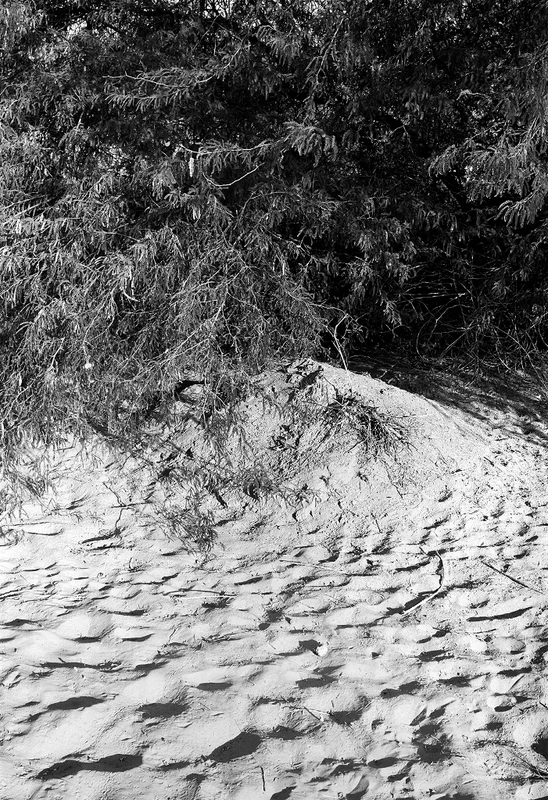 From the series, Places, Traces, 1999 - ongoing. Image courtesy Gauri Gill. Shetty has curated this edition of the Biennale around a theme informed by the Rig Veda – forming in the pupil of an eye. He was interested in works which are interpretative and become more than the sum of their parts, with greater engagement from the artists as well as the viewers. 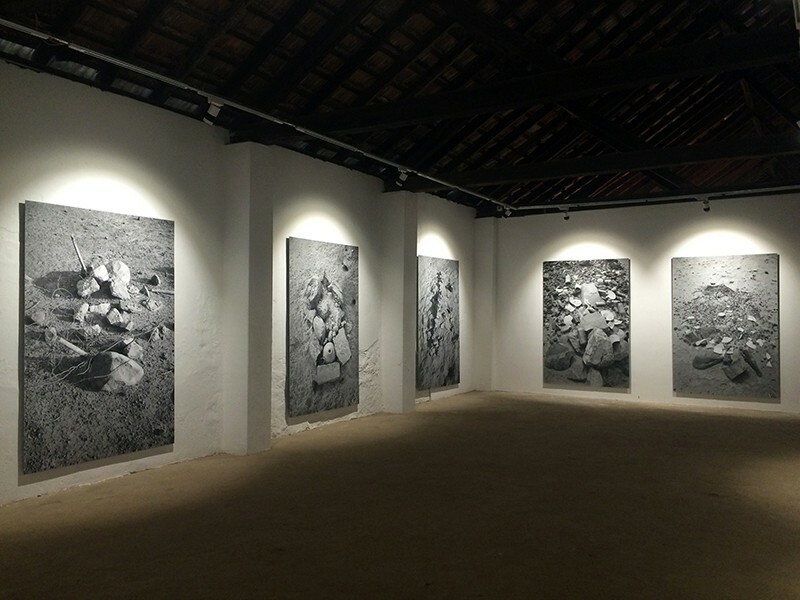 Installation view from the series, Traces, Kochi Biennale, 2016-'17. Image courtesy Gauri Gill. Despite the subject, Gill does not find the images and their overall effect depressing. “The graves exist so lightly upon the earth – I find that very beautiful. Usually they are not big, heavy, structures, because they are hand-made,” she said. In the photographs, the graves can be seen almost submerging into the landscape. Very few have any permanent construction or structure to mark them. In some places, there are boulders with hand-written dates and names that serve as tombstones. Some of them have the personal belongings and important possessions of the deceased, such as teacups and medicines bottles. Often, animals and the elements destroy these quickly. “When a friend’s aunt recently passed away, they laid a bottle of alcohol on the grave,” said Gill. Untitled (5), from the series, Traces, 1999 - ongoing. Image courtesy Gauri Gill. Untitled (11), from the series, Traces, 1999 - ongoing. Image courtesy Gauri Gill. Can she tell the Hindu and Muslim graves apart? “Yes, there are differences, but in time they become more subtle, and then disappear altogether,” she said. The number 786 is inscribed on some tombstones, to denote the phrase “Bismillah ir-Rahman ir-Rahim” from the Quran. Looking at Gill’s photos in life-size takes on greater import, when you realise all the details and narratives waiting to be found in the images. “Set in the recesses of the wall at the Kochi Biennale, they also look to me like windows,” Gill said. 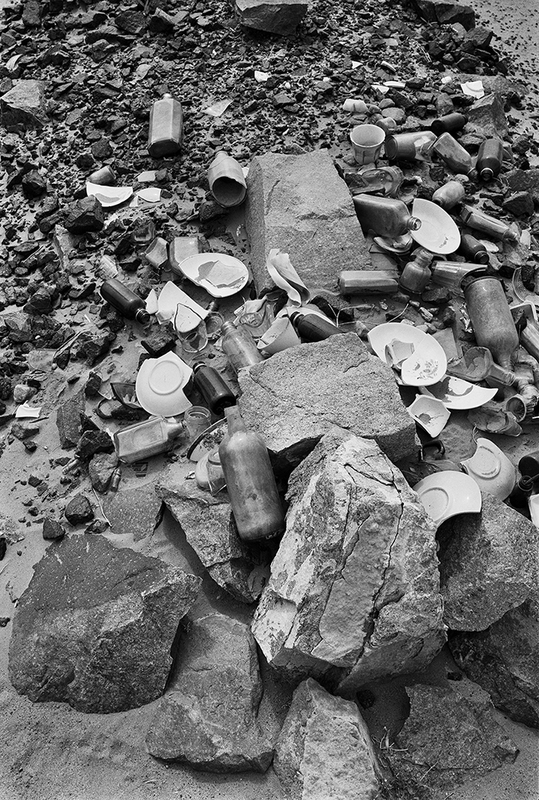 Gauri Gill’s photographs are on display at the third Kochi-Muziris Biennale until March 29.